Not every investment strategy will be right for you. Before you start investing you should choose your investment strategy. When it comes to investing in property, there’s probably nothing more important than actually choosing the right strategy to invest in. So many people might invest one way and then switch to some other strategy and then switch again and never quite moving forward towards their goal. Setting the right strategy is a key aspect for you actually achieving the goals that you set for yourself. So today, I’ve got with me Ben Everingham from Pumped on Property, my buyer’s agent of choice. And we’re going to be talking about choosing the right strategy. Now, Ben is financially free himself through his investment properties and he now works as a buyer’s agent to help other people achieve the same sort of results. And he talks to so many people every single month about how to set the right strategy and he offers strategy sessions to people, which we’ll touch on how you can get one of those at the end. Ben: Good day. Thanks for having me, Ryan. Ryan: Okay. So, you do a lot of different strategy sessions with people so there’s probably no one better to talk to about how to set the right strategy. Before we get into how people can set a strategy themselves, I thought it would be useful to actually talk about the different types of strategies out there. 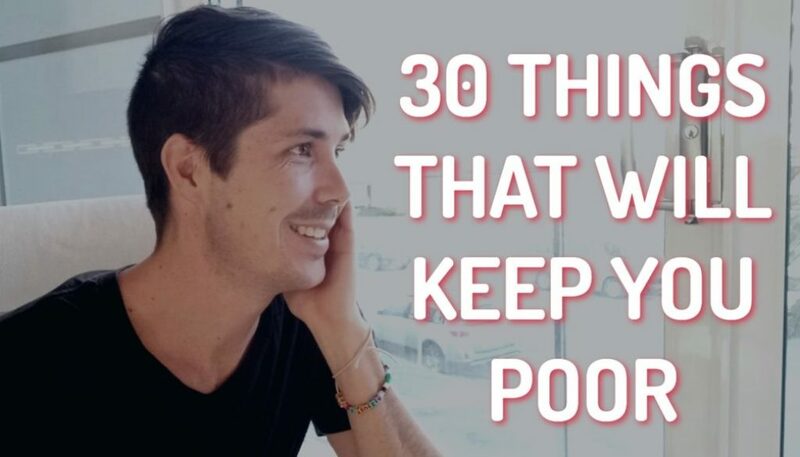 Because I think we said in the last episode, where we talked about setting goals, is that there’s 50 ways to achieve the same goal through property investing. So, what are some of the more common property investment strategies that people use to invest with? Ben: The strategy that you and I obviously love – is the positive cash flow strategy. Ben: There’s the negative gearing, capital growth orientated strategy. Ben: What else is there? There’s the manufactured growth strategy. Where you buy ugly looking properties and manufacture some value. There’s the development star strategy. There’s options strategy. There’s the education strategy. I mean, there’s so many options. Duplex and subdivisions, granny flats, dual occupancies, dual income. You know what I mean? Ben: Boarding houses, blocks of units. Even though the two strategies are different, they’ve both convinced you it’s the best way. But me and Ben are a bit more – we believe that each person needs their own strategy and every person is different in terms of the risk they’re willing to take, the goals that they have. And so, we believe that’s really important – that you set the strategy that’s right for you, not the strategy that we tell you is the right strategy to do. 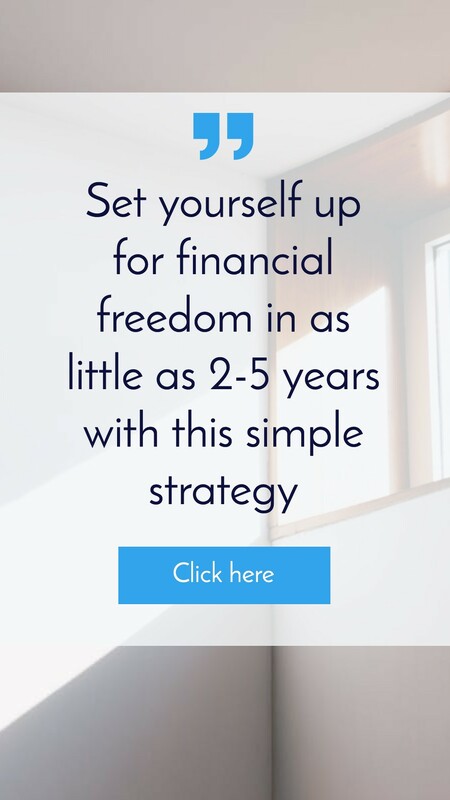 So that’s what we want to talk about today and to help you pick a strategy that’s going to not just suit you and your financial goals, but to suit who you are and the way you like to invest. So let’s talk about the process that someone would need to go through if they want to set an investment strategy for themselves? What’s the first thing that people need to do? Ben: So the first step or the place that I like to start is to actually, like our previous episodes, start with your personal and investment goals. That might mean looking at where you’d like to be personally and from an investment perspective in 12 months from now. And then look at where you’d like to see yourself personally and from an investment perspective in 5, 10, 20 years – whatever the meaningful timeframe is in your mind. And we did a whole episode on that, which you can check out. Go to onproperty.com.au/mindset and you can see all the episodes we’re doing on Money Mindsets. We talked a bit about that but, yeah, you need to have a clear goal. Know what you’re trying to achieve. Otherwise you won’t know what strategy is going to get you there. Because there’s so many different ways to invest that can all make money, but the different strategy may be suited to your specific goal. So let’s assume that someone has actually set a goal for themselves. What’s the next step? Ben: Again, I think it’s sitting down and being realistic and going, “What are the challenges that I’m currently facing in my life?” Most of us don’t want to think about the things that are stopping us from achieving our goals or our strategy and implementing that strategy. But the reality is, when I was an employee earning $50,000 per year, which I did for obviously, a long period of my life. Ryan: Dude, you’re only 30. You don’t have a long period of your life when you’ve been working. Ben: Feels like I’ve been doing this forever. Fair point. Ryan: Back in my day… I’m only 28. I’ve got even less time that I can talk about. Ben: There’s going to be people that are 70 on the call like I talk to every week that are just like, “Mate, come on.” Being serious with yourself for a moment and going, “What are the challenges that I’m facing?” We talked about this a little bit before today’s video. But I suppose some of the key challenges people face come in the different categories and they might be the mindset stuff that we talked about in the first video in this series. It might be a financial reality in terms of your ability to save budget. It might be the current amount of property that you have or the types of property that you hold. It might be that you don’t have the right sort of information or lack of confidence as a result of that. Or it might be the fact that you’ve gone and seen 50 of these different gurus, like a lot of people I’ve talked to have done, and you’re even more confused than you were when you started. Ben: Yeah. So I think it’s important to sit down, understand where you’re at and what challenges are there in moving towards your goal. Because, obviously, if you have a goal, if you could just achieve it straightaway and there’s was nothing in the way, then you wouldn’t need to be listening to this episode. You could just go ahead and do it. You know, just buy 10 properties in 10 years or whatever. But usually, there’s challenges that stand in your way. And that might be your mindset. It might be your lack of confidence. But it might actually be a financial situation. You might have no deposit. And like realistically giving the lending situation that we are in in Australia at the moment, you probably going to need a deposit. If you don’t have a job, then that’s probably going to hold you back because it’s very difficult, if not impossible, to get a loan without a job these days. And so, you need to look at, “Okay, where am I realistically? What is the market like in terms of what money can I borrow?” etc. And then, you need to work forward there. Because sometimes, your next step is not to buy property. Sometimes your next step is to save a deposit or get a job or partner with someone or whatever it may be. It’s so important to be realistic where you are. Because there is no point going looking at million dollar waterfront houses, talking about how you’re going to invest in them when you don’t have a job, you don’t have any savings and you’ve got no one to partner with. Ryan: “Shoot some vids”, love it! Ben: It’s Friday. But seriously, this bloke, we sat down and he said, “Can you help me develop a strategy?” and I said, “No problem, just tell me a little bit about your goals, you challenges and your situation.” When he got to his situation, he was in his second year of a 4-year university degree. 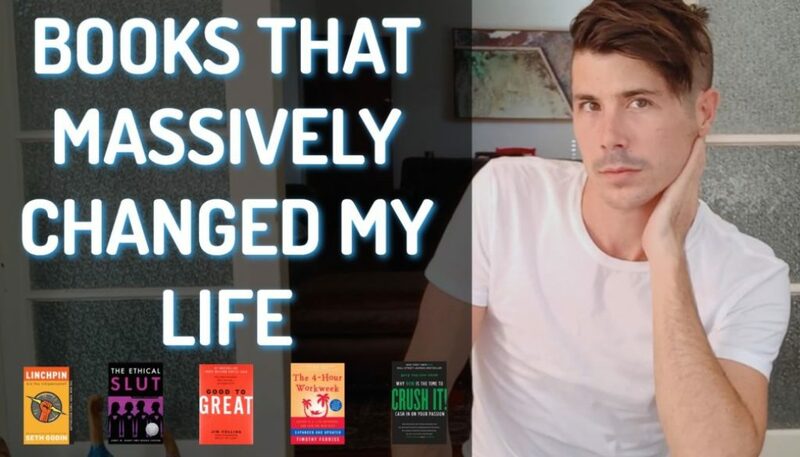 [Inaudible 7:52] and without a deposit, without a job, which I love this guy because when I was at the same stage of my life, I was definitely trying to do the same thing and get focused. But I said to him, “I can help you develop a 10-year strategy. But in 6 years’ time when you’re actually ready to take the first step, everything that I tell you today is going to be completely irrelevant and meaningless.” And so, we basically decided that in 3 years’ time from now, we’ll make another time to chat. Ryan: I was like that. I was 16 and I had $10,000 in savings and I was out looking at properties trying to invest. And I had a part-time job where I earned $200 a week or something like that. 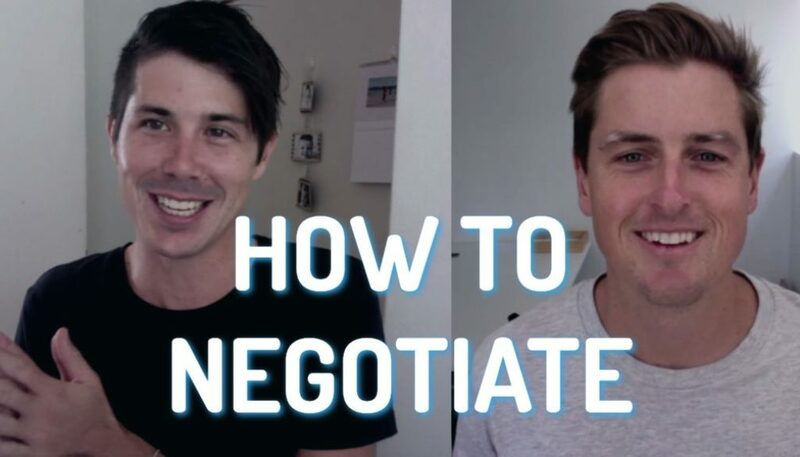 Ben: The flip side to this was on my way to work this morning, I heard an advertisement from a builder in Queensland and then basically, the first home builder’s grant has just – again, this video is only meaningful at this time, which is 2016. But the reality is the first home building boost has just gone from $10,000 to $20,000 and they’re giving you free stamp duty. So that means that where you or I would have had to save our way into that first property, somebody else could just go get that money, potentially put down a 10% or a 5% deposit on a property, not have to come up with stamp duty and be in the market next week. It’s like a double-edged sword. You’ve got to understand the market and then you’ve got to understand the reality in terms of your situation as well. Ryan: I think it’s good to say you need to look at the challenges that you have infront of you. Because it’s great to look at your situation, but if you don’t understand the market, you’re not going to know how your situation affects what you can do. So it’s important to understand what’s holding you back? Whether that be your situation, whether it be the market or maybe the market’s not holding you back. As you said, you could get a boost or no stamp duty and move quicker. So that’s really important – to sit down and to just kind of assess those sorts of things and just to say, “Where am I at?” You know, “What are my options? Can I actually move forward?” And in that, would you recommend, at this stage, people do see a mortgage broker and try and get a reference point as to what they can borrow? Ben: I think getting a rough reference point of what you can do is super important. As you and I know, not all mortgage brokers are created equal. So, definitely take the advise you get from one individual mortgage broker with a grain of salt, like everything else in this space. If you don’t like what they have to tell you, potentially go and get a second opinion from somebody that’s been there and done that. Ryan: Yeah. But it’s just good to get a rough reference point of what you may be able to borrow so that you can start thinking about it. So once people have kind of assessed their own situation as well as have their goals in terms of – we haven’t developed a strategy yet. We just kind of understand where we are, where we want to be. So how do we actually go about working out what strategy is going to be best for us? Ben: I think getting, again, realistic. So if you’ve identified your goals and where you want to be in the future, you’ve identified the challenges that you’re going to come across getting there. And then, you’ve also got put another peg in the sand here and go, “This is where I’m really at. This is what I’m earning per year. This is my ability to save after all of the expenses in lifestyle I want to live in my life. Deposit-wise, these are my options for earning different chunks of money.” Like we talked about in some of the other videos. Really getting a good idea of the types of things that you’ve created in your life to date. I remember selling the first property that I ever bought and it was probably the hardest thing I’ve ever had to do because I was so emotionally invested in that property that it took a huge amount for me to realize that – luckily the bloody corporate fees have gone from $2,000 a year to $10,000 and it made the decision a bit easier. But getting rid of that fear of that you’ve got to buy something and hold it for the rest of your life and realizing, like Steve McKnight said in one of your recent interviews, that property can also be seen as liquid and you move between the right asset class at that right time but the market is wrong. Ryan: Yeah. He was so inspiring how he just changed his strategy so many times. He’s known as “the positive cash flow guy”, but that’s not necessarily what he does anymore. He’s invested in the States and commercial properties and all these different sorts of things. I think once you kind of understand your situation, whether you own property or don’t, you then kind of need to work out what sort of investor am I? What’s my risk profile? Do I like high-risk investments? Do I like low-risk investments? How fast do I want to make the money? Do I need to do it really quickly and I’m going after capital growth as a result of that or am I willing to take my time and earn it through passive income or something like that? What are the sorts of things people should be thinking about? Obviously, like how much risk do you want to take as well as how quickly do you need to achieve your goal is going to affect what sort of properties you invest in. What other things? Ben: There’s a heap of things that I think are important to sit down and ask yourself. For example, am I looking at short term gains, medium term gains or long term gains? Do I want capital growth or cash flow or both? Do I want to manufacture some value into my portfolio? Am I looking for high rent return or low rent return, single income or dual income? And then, getting down to the other things like do I want a low maintenance property or a high maintenance property? I suppose that’s a bit of a trick question. Ryan: No one wants a high maintenance one, do they? Ben: There’s probably a series of questions that you can ask yourself on top of those things, like do you prefer houses or townhouses or units? Would you like to be a passive investor or an active one? Do you want to just buy and hold or do you want to do developments? Do you want to buy in regional markets or metro? These questions just help you identify your own strategy by deciding which side of the lawn that you sit on. And by asking yourself those questions, you begin to unconsciously get to the strategy that you’re looking for because you know that these are the things that you want. Ryan: Yeah. Like you kind of get there by default because if you’re like, “Well, I want to get short term gains.” Well, then, obviously, you need to look at areas that have a high demand to supply ratio, which is going to rule out so many different areas. Like you want areas that are about to peak in a couple of years or something like that. Or if you’re someone who’s like, “Well, I want the security that if I lost my job, I can still afford my properties. 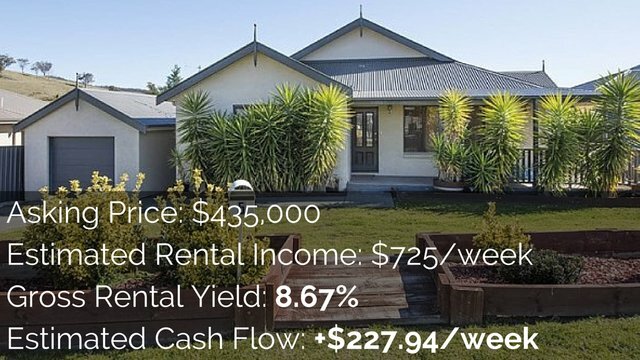 And so, therefore, I want positive cash flow properties.” Well, that then narrows out a great deal of properties in Australia because you want to invest in a particular type of property. By going through this and by asking yourselves these sorts of questions, you’ll almost come to the strategy by yourself, won’t you? Ben: Absolutely. That’s what that series of questions enables you to do – just get extremely clear. And then, once you’ve got that clarity through the process of elimination, it’s very simple to go, “Okay, based on this criteria, these are the only types of product that I target. And that might be 2% of the Australian market as opposed to 100%, which can be extremely confusing. Ryan: Yeah. It’s important for people to know that sometimes, a great way to invest that’s going to make someone $100,000 or $200,000 might not actually be a great way to invest for you. For example, some people make a lot of money through subdivisions and building a second dwelling on the new piece of land. But subdivisions can be expensive and they can cost tens of thousands of dollars and then you’ve got to build a building. Some people don’t have the money or the will power to go ahead and do that. They don’t want to go through construction and they’d rather just buy and hold something and rent it out. Based on who you are, how much work you want to put in and all of these questions we’ve been talking about, hopefully, the strategy for you will start to become apparent. Not because you’re like, “Well, I really want to do this.” But more because you’re like, “Okay, well, I don’t want to do subdivision. I don’t want to negatively gear. I don’t want to develop.” And you kind of come to the conclusion yourself is what we’re trying to say. 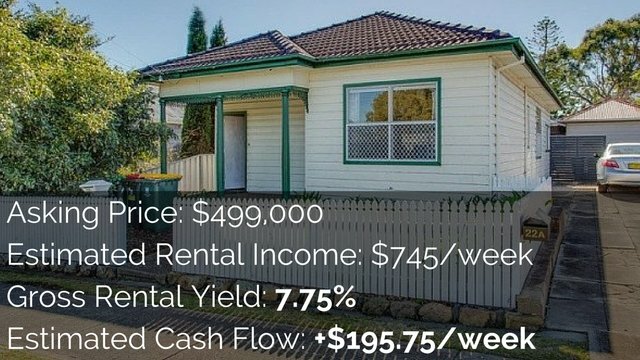 Ben: A way that I love to put this in perspective in terms of the different ways that you can invest and get the same outcome is – let’s say you bought 3 properties in Sydney 6 years ago and held those properties to today, you would have probably made between $600,00 and $900,000, depending on – it wouldn’t have even mattered, to be honest with you, where you bought in Sydney. Ryan: Just somewhere in Sydney, yeah. Ben: Somewhere in Sydney. Anywhere in Sydney during that time. Up until 12 months ago, you would have made some great money. On the flip side, there could be someone that’s extremely active and a developer that’s done 6 subdivisions where they’ve made $70,000 – $100,000 in their pocket after all the expenses and that person has gone and made or manufactured $500,000 – $600,000 over the same period of time. I know, for me, I’m an investor that I want low risk and I want the path of least resistance to my goal – the easiest path, basically, like everybody else. And so, understanding that if you invest at the right time in the market in the right stage of the cycle, you can make great money from just buying and holding the right types of properties. As opposed to going crazy for the next 6 years and doing everything and putting yourself in all of that debt and all of that risk. To me, there’s positives and negatives with every single way. If you don’t want to be active, then there’s one strategy. If you want to be active and you enjoy the process, then there’s another way to achieve he same thing. Ryan: Yeah. And that’s the thing. Everything has its pro’s and cons. Like investing in areas that are likely to grow, that’s the thing, they’re likely to grow. They’re not definitely going to grow. And so, you need to be prepared that maybe one area won’t grow. And so, you might need to invest in a few areas that are likely to grow. So you need to kind of weigh the pro’s and cons of whatever strategies you have left that suit you. Because the benefit of being an active investor, obviously, it’s more work, but you have more control over the improvements that you make, the money that you spend to improve those properties. You’re not just waiting for the market to go up. You kind of have a more level of control. But then, there’s risk that you can go over budget or that the market still declines and you end up spending more than you need to in order to generate a profit. Everything comes with its risks and rewards. There’s no perfect way to invest. There’s a lot of different good ways, but they all have pro’s and cons. Ben: Absolutely. And your job as an investor is to identify the lowest risk option to achieve your goal and to think about like Ryan always talks about, your plan B and your exit strategy if the worst case scenario comes up. Which, if you’re a 30-year-old, is going to come up 2-3 times over your lifetime. If you’re 50, it’s probably going to come up at least once again. Being aware that stuff is going to come up like global financial crises and what are you going to do when that does happen? Ryan: Yeah. And that’s something that’s important to think about when you’re thinking about your strategy. Because if you’re just swinging for the fences, what happens if you miss? Or what happens if something does happen to your financial situation or the market? How are you going to recover from that? Whereas someone who’s 30, they might have years to recover from that. But someone further along, might not have that time. And so, they might want to take a more low-risk approach in order to achieve some level of their goal. Maybe not as much as they like, but they got lower risk, so if something bad does happen, they’re more protected. It’s nice to say that, but it’s still not specific enough for your situation. You do need to work out, “What is my financial goal? How many properties do I need to buy? When do I buy those properties in order to go ahead and achieve that financial goal? I know you do this a lot with your clients, Ben. How do you generally get to that point where you go through the nitty gritty? What sort of stuff do you look at? Ben: As you said, after you’ve done those 3 or 4 activities, it’s about identifying, again, where you are and where you would like to be. And then, either forward projecting – let’s say it’s a 10-year strategy to replace a $100,000 income, then I need to buy one of these types of properties every 2 years for the next 10 years to achieve that goal. Or, the reverse of that, going – here’s $100,000 per year and work backwards from there. I think it’s challenging for an average person to be able to do this because they fundamentally don’t understand certain things about investing. From what I see when I see a lot of people’s spreadsheets and plans for their own future, they over-set certain expectations. For example, the average person still thinks that property is going to increase in value by 7%, 8%, 9% per annum. Where, I personally make an assumption that it’s going to increase by 4% per annum in a metro market. The average person might be talking about a 5% yield, but we now know that most of the capital cities in Australia aren’t going to get you that 5% yield. So, it’s being really very realistic. Not working out your strategy based on 4% interest rates, but long-term rates of 7%+ and understanding what each of those properties are. In terms of working out that long-term strategy, you really need to know what your next step is and how that next step is going to feed into property 2, property 3, property 4. Especially if you’re only in the position where you’ve got enough savings or enough equity to make that first purchase because you’ve really got to make that first purchase generate enough value to move into the second purchase within 12 or 18 months after that. Ryan: Yeah. So you got to – that first purchase basically needs to fund your second one. So you’re not just thinking about what next property do I need to buy? You also think about, how does the next property I buy setup the next 2-3 properties that I’m going to buy after that. We’re really talking about getting super serious and down to the numbers here. Obviously, none of this is going to pan out exactly the way that you planned. But it’s about getting and idea that, “Okay, I need to buy 5 properties over this 10-year period. I know what year I need to buy those properties in.” And that’s your strategy. Ben: As you said, the thing is, people are going to arrive somewhere in 10 years’ time. And you can either arrive at a place that you’ve designed or you can arrive at a place that looks a lot like where you are right now. I would personally rather design the next 10 years. I’m not talking about being obsessed and working 20 or 30 hours a week on top of your job to create this portfolio, but just to know that every 2 years, I buy 1 high-quality property that meets my personal goals and criteria plus the strategy that’s going to allow me to achieve whatever it is that I’m looking to achieve and to systematically follow through on that process. Because there’s no point designing a 10-year strategy, doing the first part of it and then going, “I’m going to get there.” and you’re still 80% of the way from being there. Which is what a lot of people do as well. Taking that first step is definitely it. But the knowing from that first step where you’re going to end up – step 2, step 3, step 4 is really what it’s about and consistently following through over time is what will get you the result. Ryan: Yeah. That’s the thing – staying motivated throughout that entire process. But a lot of people get excited by the first one and then just forget about it or lose interest and things like that. Staying motivated is really difficult, which is why we’re going to talk about it in the next episode. But I really hope that this has helped you guys think about how you can set a strategy for yourself. So looking at where you want to be. Looking at where you are right now and the challenges that you have. Looking at your investor profile. What sort of risks do you like? What sort of areas you feel comfortable investing in? Do you want positive cash flow or negatively geared? What sort of growths do you want; short term, medium, long term? Going through all of these sorts of things and narrow down your options and then finally, going through this last step of really projecting forward and saying, “What actions do I actually need to take in order to achieve my goals?” Because then, it becomes pretty concrete on paper – this is exactly what I need to do to move forward. And I’m guessing this is what people get as a result of strategy sessions and working with you – is that you actually say, “Okay, well, here’s the next 5 properties that we’re going to buy. Let’s work towards buying property number 1.” and that’s, I guess, how you would work with clients, is that right? Ben: Absolutely. Part of that complimentary strategy session that we offer your audience is exactly that – it’s about identifying your goals, your challenges, your situation and your property investment goals and then going based on where you are and where you would like to go, this is your first action step. And then, once you become a client, really sitting down with you before we get started on the first property and going, “What do the next 5, 10 years look like for you?” Yeah, you might not follow through on this strategy, but at least you know where you’re going. And the fact of knowing where you’re going will just pull you through those times where you lack that motivation or the drive or financially, things aren’t going the way that you expected them to. To pull yourself out and know that if you just continue and trust the process, you’ll get to where you want to be. Ryan: Yeah. And that would be so great for so many people – to have a process they know they’re following that’s going to get them to where they want to be. Because as life changes, as they get married or change jobs, their income changes, etc., they can still sort of see their path forward. And obviously, they’ll need to make adjustments as their life changes, but at least you can see you’ve got this path forward that is kind of separate to the life that you’re living. Obviously, it’s intertwined, but you can go to your job everyday and you may love it or you may not, but you know that there’s something there – a process that you’re following that’s going to help you achieve your ultimate goal of financial freedom or whatever it may be. Ben: Absolutely. Fully agree with you. And that bigger picture pulls your through the hard times in your life that all of us go through. We’re going to finish today’s episode there. Ben does offer a free strategy session to anyone out there. If you are having trouble choosing the right strategy for you, if you feel like you want someone to come alongside you and to help you set that strategy – maybe even help you find and buy that first property or the next property in your portfolio to move you towards your goal, then Ben does offer those to listeners to On Property. So head over to onproperty.com.au/session. If you go there, then you can actually choose a time where you can have a phone call with Ben and you can go through what’s your situation, what’s your goals and what’s your next step towards getting there? So thanks so much for offering that, Ben. And again, go to onproperty.com.au/session of you’re interested in that. Do you have any final words that you’d like to leave people with if they’re sitting down and trying to work out their strategy themselves? Ben: Yeah. Just from personal experience of obviously going through all of the crazy amounts of time it takes to achieve what it is that you’re looking to achieve, don’t give on the process and don’t think that you need to have a silver bullet and a crystal clear strategy from day 1. Because while it’s easy for someone like myself that might buy 150-200 a year for our clients and I’m in the market that regularly, for the average person like myself, there’s just buying 1 high-quality property every year or every couple of years. It’s really about the journey and not putting too much pressure on yourself to have it all figured out straightaway. It takes so much time to learn this stuff and it’s new knowledge, new skills and new things that you need to build. Be patient with yourself and be kind to yourself because it is that journey and that process and overtime, you will figure out what’s right for you and there’s so many different opinions around. It really is about taking the best bits from all those pieces and applying them to your own life and to your own situation and being honest with yourself about what you really want. Ryan: Yeah. Great advise. If you guys haven’t set your own strategies or haven’t thought about that, we definitely encourage you to go ahead and do that to day, do that tonight with your partner or your spouse or do it some time soon. Because once you do that, once you map it out, it actually becomes closer to being a reality for you. Thank you, guys, so much for tuning in. We will be talking in the next episode around how to stay motivated as you continue investing. Because as Ben said, the first property is just the first step. You’re still only 20% of the way there. And so, that’s a really important topic to cover so we’ll cover that in the next episode. But we’ll leave it for now and until next time, stay positive.